There are some things Marines with combat experience know to be “ must-haves” when serving in a combat zone. 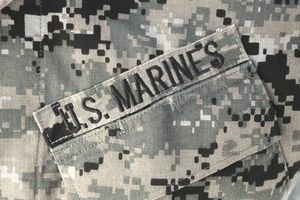 Here is a list of the top items combat-experienced Marines of 3rd Platoon, C Company, 1st Battalion, 3rd Marine Regiment feel are the most important that a Marine should carry in combat, besides the standard issue of equipment and weapons. The list was compiled by Sgt. Clinton Firstbrook, and originally published in the May 2005 edition of Marines, the official magazine of the Marine Corps. 1. Advanced Combat Optical Gun Sight or Binoculars: "When you're on post, you can tell what individuals walking down the street (blocks away) are carrying," said Cpl. Michael Fredtkou, an M-203 gunner. "The enemy doesn't expect you to see them that far away." 2. Energy Bars: "They're lightweight, easy to get to," said Staff Sgt. Luis Lopez, platoon sergeant. "Plus they're not as bulky as MREs." 3. Kevlar Cushions: "The old (helmet) padding gives you a headache after wearing it for a few hours," said 1st Lt. Travis Fuller, platoon commander. "After a few minutes with the cushions on, you can't even tell it's there." 4. Elbow & Knee Pads: "If not for these things, my knees would be completely cut up by now," said Lance Cpl. Tim Riffe, a machine gunner. "You can only take so much jumping into a defensive position without them." 5. Personal Role Radio: "Communication has been a huge key in our operations," said Cpl. Tyrone Wilson, 2nd squad leader. "When my squad was across the street in a defensive position, the platoon was able to let me know insurgents were in the building next to us. Who knows what would've happened if they couldn't contact me." 6. Global Positioning System: "I'm able to pinpoint our location within 10 meters when calling in position reports and medevacs," said Lance Cpl. William Woolley, a radio operator. "We'll never get lost as long as we have it." 7. Extra Socks: "My feet are nice and dry right now," said Lance Cpl. Kaleb Welch, a squad automatic weapon gunner. "I've gone without changing my socks before on three to four day training exercises and I always regretted it later." 8. Gloves: "They're clutch because when you're climbing over a wall you don't have to worry about broken glass cutting your hands," said Cpl. Gabriel Trull, 1st squad leader. "You also don't burn your hands when changing (M-)240 Golf barrels." 9. Baby Wipes: "A multiuse piece of gear," said Petty Officer 3rd Class Irving Ochoa, a Navy corpsman. "You don't have much time out here for personal hygiene, so it's the best alternative." 10.Three-Point Sling: "When you're jumping over rooftops you don't want to worry about dropping your weapon," said Cpl. Dave Willis, 3rd squad leader. "At any time you can just reach down and grab it." 11. Alice or Day pack: "Without these I don't know how I'd carry all of my gear," said Lance Cpl. Geoffery Bivins, a SAW gunner. "It displaces all of the weight around my body, so I'm not uncomfortable. When you're running with 100 pounds on your back, that's important." 12. Night Vision Goggles: "Wearing these at night gives you the advantage over the enemy," said Lance Cpl. Marquirez Chavery, a combat engineer. "When you're on a rooftop at night you can see everything." 13. Personal Hydration System: "Water is one of the things you always need to make sure you have," said Seaman Hugo Lara, a Navy corpsman. "Instead of struggling to get your canteens out, the cord is there within your reach. Plus it holds more water as well." 14.Watch with Compass: "You get calls where you have to lay down suppressing fire in a certain direction and instead of wasting time to ask which way is north or south, you can just look at your wrist," said Lance Cpl. Lonny Kelly, a machine gunner. "Knowing the time is important because everyone pulls shifts for guard duty or standing post." 15. AA Batteries: "You use them for your NVGs and handheld radios - both of which contribute to more effective fighting," said Cpl. Bryan Morales, 1st squad 1st fire team leader. "You wouldn't want either of those items dying on you, so having a spare set of batteries around is very important." 16. Poncho & Poncho Liner: "The temperature at night is extremely different from the day," said Lance Cpl. Jonathan Etterling, machine gun team leader. "If you don't have some sort of protection at night, you end up freezing because you're cammies are still damp from sweating during the day." 17. Ballistic Goggles: "I was the (assistant) driver of one of our convoys and we got hit by an (improvised explosive device)," said Lance Cpl. Anthony Johnson, an assault man. "Shrapnel bounced off of my glasses, saving my vision." 18. Multipurpose Portable Tool Kit: "It's like carrying a combat knife, hammer and screwdriver in one hand," said Lance Cpl. Evan Fernandez, an assault man. "Cutting open MREs, cleaning your weapon, tightening screws on your gear; it has a thousand uses." 19. Carabineers: "Anything that you might have to grab at a moments notice, you don't want to be digging through your pockets to try and find it," said Pfc. Jason Kurtz, a SAW gunner. "With these you can attach anything to your flak and have right at your fingertips." 20. High Powered Flashlight: "It does wonders," said Cpl. Chris Williams, 2nd squad, 1st fire team leader. "After you throw a fragmentation grenade into a room it's difficult to see because of all the dust floating around. No one can hide from them."